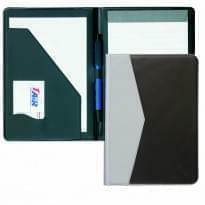 Junior folder. 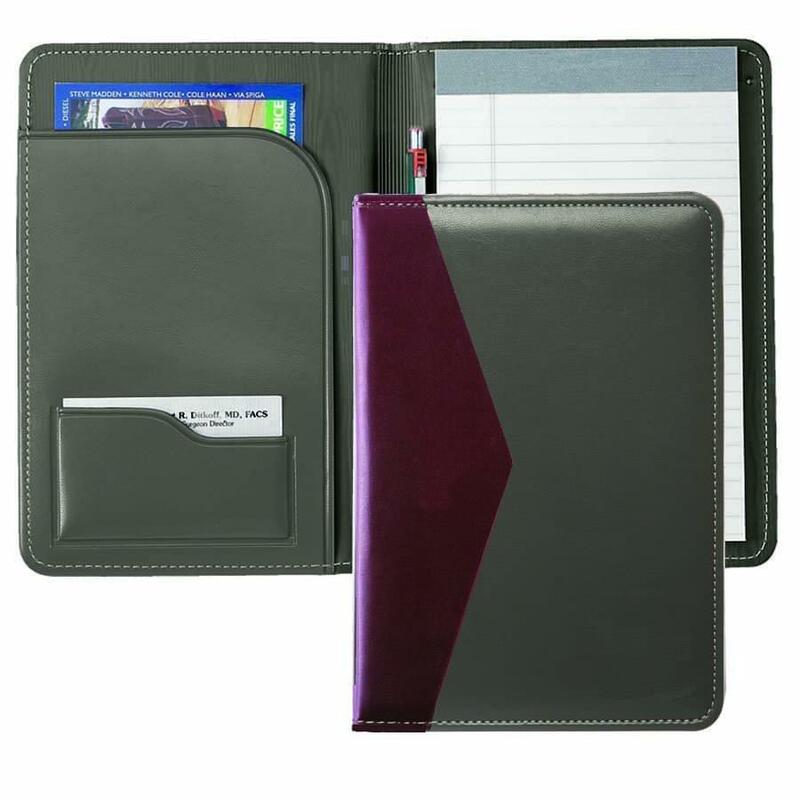 Features foam padded covers, paper pad & pen loop, matching vinyl lining, two tone cover and slash pocket with card pocket. 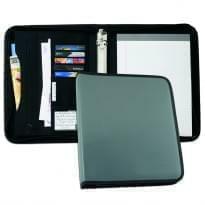 Dimensions (Inches): 6 Width x 8.5 Height. Packed 25 units per 17 lb. carton.